The Wrangler JK is available at our dealership, and it’s ready to take you on the adventure that is your life. Rugged and sophisticated, this vehicle is willing to help you get a whole new level of command and control. There are several trim levels available, and each one has special features that make it unique. You’ll love the option to customize your vehicle and change how it looks and functions. This vehicle is designed to provide you with an out of this world sense of power and capability while letting you stay connected to friends and family safely and intelligently. Call our dealership near Longmont CO to find out how we can help you take this vehicle home today. The exterior of this off-roading masterpiece is impressive and capable. Start with the fender flares and the highly recognizable and iconic seven-slot grille that is designed to make this vehicle more stylish and enjoyable to drive. The car comes with the Freedom Top hardtop if you go with the Sahara or Rubicon models. Come down and explore everything that this vehicle has to offer and get your hands on some of the best deals available from our dealership. You’ll love how well this vehicle works to get you to your destination safely and quickly. Trust our Jeep dealership near Longmont CO to get you an incredible price and great deals. One of the best features of this vehicle is that you can clean it extremely easy. Just take a hose and wash out the interior when you’re done with your ride. This feature makes cleanup a breeze and spills are no problem at all. Rugged style and detail are the hallmarks of this vehicle, and it’s designed to provide you with ample storage space and thoughtfully designed ergonomics. The car comes with comfort and convenience features that are designed to help you get where you’re going with style and class. Optional heated front seats and auto-dimming rearview mirror options with integrated LED map lights will help you get where you’re going comfortably. Come down to Pollard Jeep serving Thornton Longmont Denver Boulder residents to discover all of the features available to you. When it comes to capability, you’ll be getting some truly impressive off-road performance options. The vehicle is a powerful machine that is designed to help you get the most from your driving situation. Come down and explore the smart 3.6-liter V6 engine that will help you to get the power you need to conquer hills, mountains, and rugged terrain. The vehicle also comes with a 4×4 system, and you’ll be able to tow more efficiently thanks to the smart trailering options. Explore this vehicle in person so that you can discover how this vehicle can make your next trip more convenient and fun. Come down to Pollard Jeep serving Thornton Longmont Denver Boulder residents to learn about all of the features available to you. Water fording, smart articulation, and superior crawling features make this an ideal vehicle for most any situation. You’ll be well-protected when you get behind the wheel of this vehicle. Come down and explore the fantastic features that are designed to help you get where you’re going with more ease and control. This vehicle is designed to provide you with off-road safety and security features that go above and beyond what’s available in most other cars. You’ll get features like hill start assist, hill descent control, and a tire pressure monitoring system. The vehicle also comes with features like electronic stability control, roll mitigation and much more. Security features that include remote keyless entry and a theft deterrent system are also designed to help you keep your vehicle and valuables safe. Trust our Jeep dealership near Longmont CO to get you an incredible price and great deals. When you give us a call, you can request additional information about this vehicle, and we can tell you about all of the trim levels. Since our stock varies, the best way to find out if we have what you need is to stop by, call or go online to get more information. You’ll get some fantastic quotes and specials on this vehicle, and we want to help you get an outstanding deal on your next purchase. Let us customize a financing package that works for your situation so you can drive home in an incredible new vehicle tonight. Give us a chance to take you on a test drive, and we think you’ll fall in love with this vehicle. We want to help you get a great deal, but you have to contact us so that we can find the best situation for your needs. Let us show you how a full-service dealership serves your needs with honest pricing and reliable service. 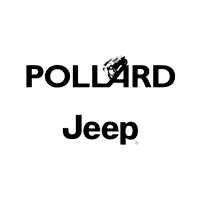 Come down to Pollard Jeep serving Thornton Longmont Denver Boulder residents to discover all of the features available to you.